Is there a better alternative to HextriX? 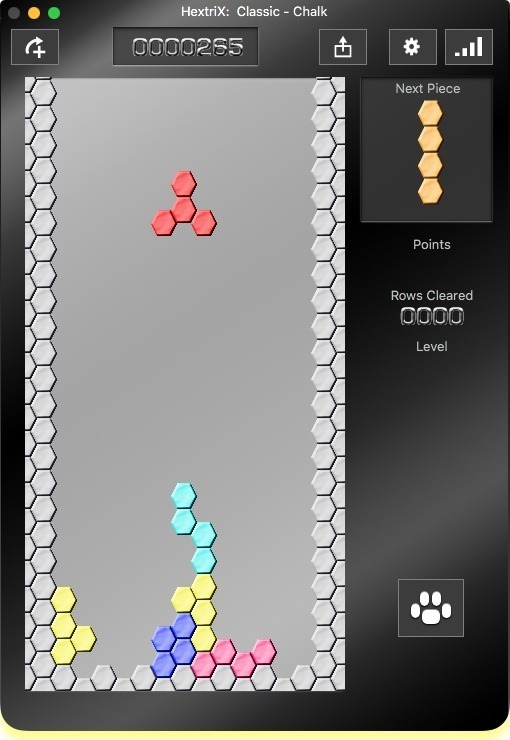 Is HextriX really the best app in Arcade category? Will HextriX work good on macOS 10.13.4? HextriX is an addictive falling-shape puzzle with beautiful tiles and odd angles! There are five different games all within HextriX giving endless hours of fun and puzzle solving. In addition, there are five beautiful different tile sets to choose from when playing. 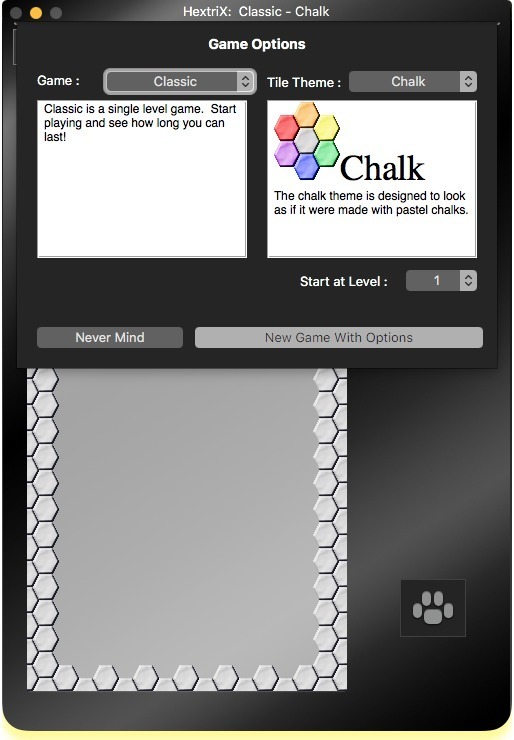 HextriX provides both windowed and full-screen display modes, and an Aqua interface featuring the 'Chrome' theme for the game skin. HextriX includes full Mac help, including strategy tips and a description of the rules of the game. The game also includes an animated Dock icon. HextriX needs a review. Be the first to review this app and get the discussion started! HextriX needs a rating. Be the first to rate this app and get the discussion started!